We’ve all been there: you haven’t updated your CV for months and every vacancy you see demands a CV and a Cover Letter. You’re certainly not alone in your scramble to get a CV together in a hurry to compete in a tough jobs-market. In these austere times employers have become tight and lazy. 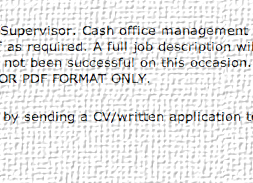 Why should they go to all the hassle of sending out application forms, paying for someone to fold the paper and shelling out on envelopes, printer-ink, paper and stamps? Far easier it is to say, “Send a CV” and then put the phone down. This is where the economic downturn has hammered job-hunters: not only are they facing a the squeeze as openings with companies fall but also companies are less likely to put as much money into recruitment. Here at JobFox UK we call this The Big Squeeze. Employers don’t have rivers of cash to put into selection and this makes things tighter for the job-hunter. Typo on your CV? Shredder. 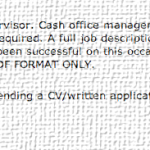 Poor formatting on your CV? Shredder. Missed the deadline by two minutes? Shredder. CV longer than two pages? Shredder. CV not targeted to the role you’re applying for? Shredder. Unnecessary information on your CV? Shredder. Employers are pushed for cash and – as a result – they’re pushed for time. Now, more than ever before, must you get a razor-sharp CV together. Use our CV Templates for some inspiration.